While researching my 7 part article on Routing Software I came across a number of packages that just amazed me in their sophistication or some aspect of their functionality that I thought was particularly good. Some of these packages are very low cost or even free. Many will run on handhelds or netbooks. Some will import and export waypoints, routes and tracks to the big name chart plotters. The thrust of my previous article was of course Weather Routing NOT chart plotting. In other words taking into account all the data inputs such as GPS, Wind, Weather, Obstacles, Dangers, and boat characteristics in order to calculate an optimal ROUTE. For the sake of my sanity I had to omit the packages listed below in that review – but they really do deserve a mention as they would all be great aides to navigation and are all extraordinary value for money – and some also do Weather Routing as well as Chart Plotting! 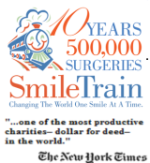 I have created a small table of these software packages that you may consider looking into. Voyager € 379.00 WinGPS4 was released in 2004, and probably the most popular navigation program in the Dutch market. It now incorporates weather routing and is available in all the main European languages. It uses DKW charts and can also use BSB charts from Maptech and BSB4 NV. Digital charts from NV-Verlag. 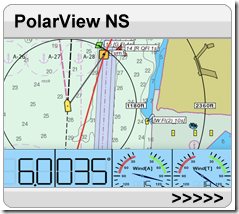 PolarView NS is available for Apple Mac OS X, Microsoft Windows and Linux operating systems. 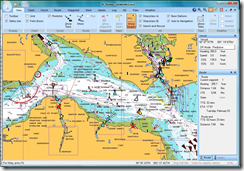 It combines marine chart planning, tides and weather with live GPS navigation and AIS capabilities. 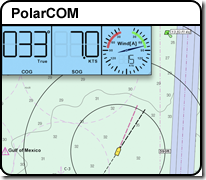 PolarCOM FREE ! From the same authors as PolarView NS above comes this free software to display all your NMEA0183 data on your laptop including AIS !. What about that for value for money! PCPlotter £250 PC Plotter 5000 will run on Apple Mac as well as Microsoft Vista,and XP It can read Navionics Gold and Platinum charts from SD, MMC and CF cards and can also read/write route/ waypoint files from Raymarine, Lowrance, Furuno Navnet, Eagle, Geonav, Hummingbird and Northstar plotters. 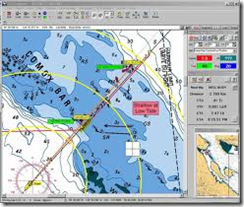 It is unusual in that in can support all Navionics chart media so is particularly useful for those who already have Raymarine plotters and need a laptop based system for planning or as a backup or ancillary system. TidePlan2 can calculate a route using tidal flow information, and give you the correct Course to Steer. It is aimed at English Channel and Bristol Channel sailing in particular. 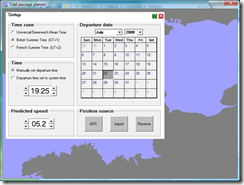 Multi leg passages can be calculated and the arrival time, rather than the departure time, can be specified. Once a route has been calculated there is a facility for optimisation of the start time. This will find the start time, within 6 hours of the initial start time, that produces the fastest passage. The recalculated route is then displayed. 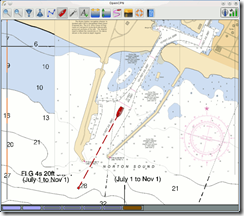 The list of trackpoints produced by the program can be viewed, printed, saved and exported to the OziExplorer program, the Chart Navigator Pro program, the SeaClear II program or to your GPS receiver. They can also be exported in formats suitable for the G7ToWin and Waypoint+ GPS management programs. OziExplorer € 75.00 OziExplorer can be used on land or sea with the appropriate GPS and scanned maps e.g. BSB, USGS DRG, ECW, SID, TIF, PNG, etc. It has direct support for most Garmin, Magellan, Lowrance/Eagle, Brunton/Silva and MLR GPS receivers for Uploading and Downloading Waypoints, Routes and Tracks. It also has a 3d version and a half price CE version for handhelds. 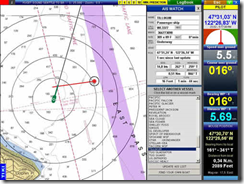 Tiki Navigator PRO and GOLD $179.00 TikiNavigator comes in two version – one for Navionics charts and one for NOAA/BSB charts. 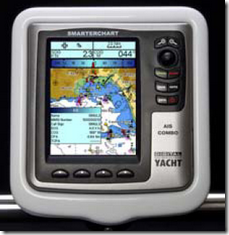 Again – like PCplotter above the Gold version could be invaluable for those who already have Raymarine equipment. or Charter versions for 8 or 15 days. 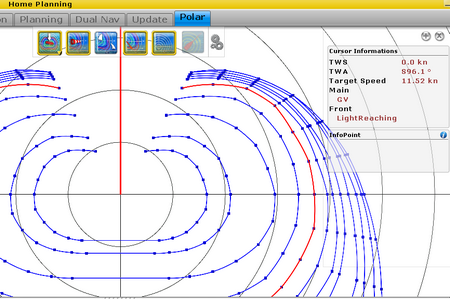 Moreover, if the customer wants to avoid a strong wind, the SailRouter can calculate the optimum sailing route, i.e. the quickest sailing route with weaker wind strength than the user-defined maximum wind. It can also calculate the waiting time, if necessary to avoid a too strong wind. 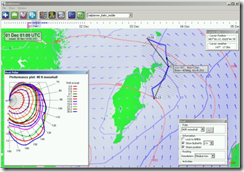 Routing SailPlanner incorporates its own sophisticated route optimization tool to find the best route for your boat in the taking into account the current weather data. 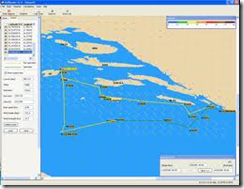 SailFast™ is a PC-based navigation program used to predict optimum routes for offshore racing and cruising. Weather information is imported directly from Grib forecasts of wind, current and sea level pressure. Built-in Gulf of Maine tidal currents are already included. 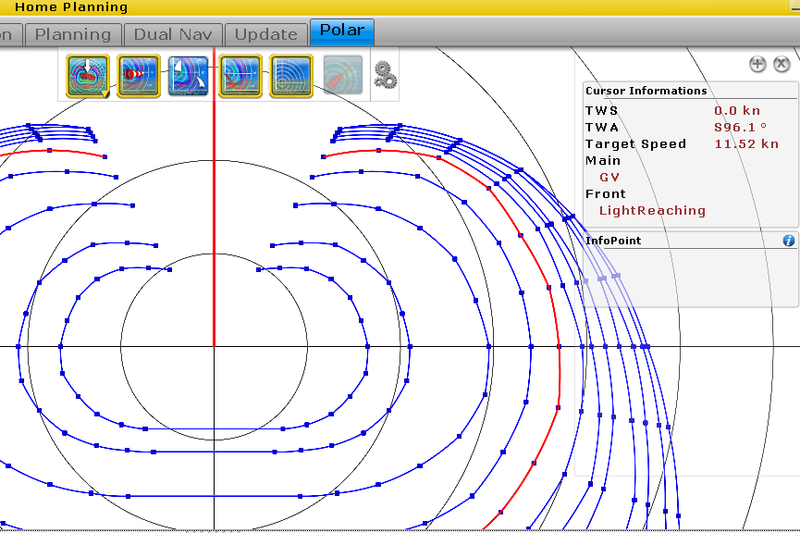 Taking into account vessel speed characteristics and predicted wind and current, SailFast™ determines the fastest course from start to finish, or between any 2 waypoints. “Isochron” methods are used to find a globally optimized route. A typical isochron solution from start to finish takes about 3-5 minutes to compute. OpenCPN FREE ! 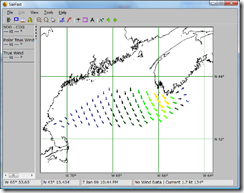 OpenCPN is a free software project to create a concise chart plotter and navigation software for use as an underway or planning tool. OpenCPN is developed by a team of active sailors using real world conditions for program testing and refinement. Russ September 4th, 2010| No comments - be the first!|Tags: Chart Plotter - Navigation - Pilotage - Routing. 5in. All in one chart plotter + AIS receiver for less than £500! 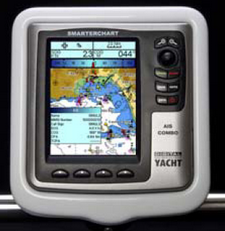 The Digital Yacht SC500A GPS Chart Plotter with built in AIS Receiver is really the sort of thing that the ill fated Raymarine RC400 could have evolved into. To be fair I have used the RC400 mounted at the helm of my 32ft yacht, and despite all its faults and initial hiccups in getting it to work at all I must say that it has withstood both hell and high water and worked very well for the past 4 years. The trouble is that it doesn’t link to anything and connecting it to PC based chart plotting/planning software is useless- er, yes I do know about RNS…! So the Digital Yacht range of 5” colour chart plotters caught my eye especially when you see some of the sophisticated things it can do. Firstly it is a modern device unlike my poor old RC400 and benefits from all the technical hardware innovations of the past 5 years – for example there is an ultra bright display with 256 colours and a resolution of 320 x 240 pixels. 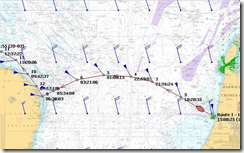 Russ May 21st, 2010| 4 comments - be the next!|Tags: AIS - Chart - Navigation - Pilotage - RC400 - SC500. 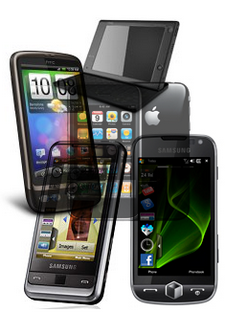 Which smartphone for your nav software? I havent updated my page on Phones here for sometime – for one thing the market innovation has just raced at such a speed it is almost impossible to keep up! There can be no doubt that small handheld devices, more powerful than todays laptops will become commonplace – connected to huge datacentres like Amazon Cloud Front, Google, or Microsoft Azure and across the web for the provision all sorts of services from weather to location to social networks. By the way this does raise all sorts of global warming issues that Greenpeace and others have highlighted. These mega datacentres use enormous amounts of power for chilling as well as for running the equipment. Google for one has begun a “follow the moon” strategy so that loads can be swtiched to centres across that world that will have cheaper power at night and also climates where chilling is less important. Anyway, back to phones, the question is simply – if I was to buy a phone today in order to run some of the nav software available for boats – which one would I choose? hmmm….tricky, everyone hates to buy something that is out of date by the time it is delivered ! I have prepared a spreadsheet with the phone models that I am considering and of course the choice between Android v Apple OS v Windows Mobile 6.5 is absolutely fundamantal to the choice of phone. Then there is Windows 7 for mobile…..
One big issue so far for iPhone is that its operating system did not do proper multi-tasking. In other words it would not allow more than one application to share the memory space available in the phone and operate together. This is pretty important if you are running nav software!. Apple have launched OS-4 which does do multi-tasking BUT it will create priorities for applications based on the Apple iStore classification that might not allow an application as much processing power as you’d like it to have. I would be interested in comments from developers as well as sailors on this subject. Russ April 19th, 2010| 3 comments - be the next!|Tags: Mobile Phones - Navigation - Pilotage. Following the post called “Boat characteristics and learning to wally!” I had a number of mails about polar diagrams see also the comments to that post from Peter Gustafsson. You can then edit the results to take into account special considerations on the day that you made your recording – such as sea state. You can also store diagrams according to differing sail sets that you are likely to use. Russ April 19th, 2010| One comment so far - be the next!|Tags: Navigation - Pilotage - Polars. I do hope that you have found this series of articles delving into optimal routing software interesting. My personal objective was to learn a lot about routing – and I certainly think I did that. 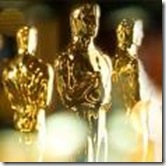 I also thought I would find what was the “best” system on the market – no chance – I am afraid life is not that simple!. One thing I have found is a new and deep respect for the software developers behind these system – as well as their obvious skill and passion for sailing. While I realise that there may well be teams of developers at some of these suppliers – their is always the original author – so all credit to Nick White (Expedition); Dave Brayshaw (Advantage); Peter Schofield (Seatrack); Brice Pryszo (MaxSea); Brad Christian (Coastal Explorer); Graeme Winn (Deckman). One of the criteria I set for myself was that I wanted to find the system that I, as an amateur and “average” sailor would find was “easy to use”. Perhaps that would be the clue to finding the best. BUT even here I found that all the TableA and TableB products, although they have different user interfaces, are all understandable – once you put some effort into understanding the inputs and outputs. So the “easy to use” test almost doesn’t apply since you need your brain switched on anyway to understand the objectives and the dynamics of what is going on with optimal routing in the first place. In terms of the routing algorithm, there is a key difference between all the systems and Advantage by Dave Brayshaw – as you can see from his article on routing algorithms in Seahorse . Even though Dave’s argument is appealing, there certainly are a lot of expert sailors using the alternative isochron based methodologies. Russ March 24th, 2010| 2 comments - be the next!|Tags: Navigation - Pilotage.